A deer I have drawn just before going to my friends to celebrate Christmas. Then it was part of our secret Santa game and now the deer lives in Clapham. 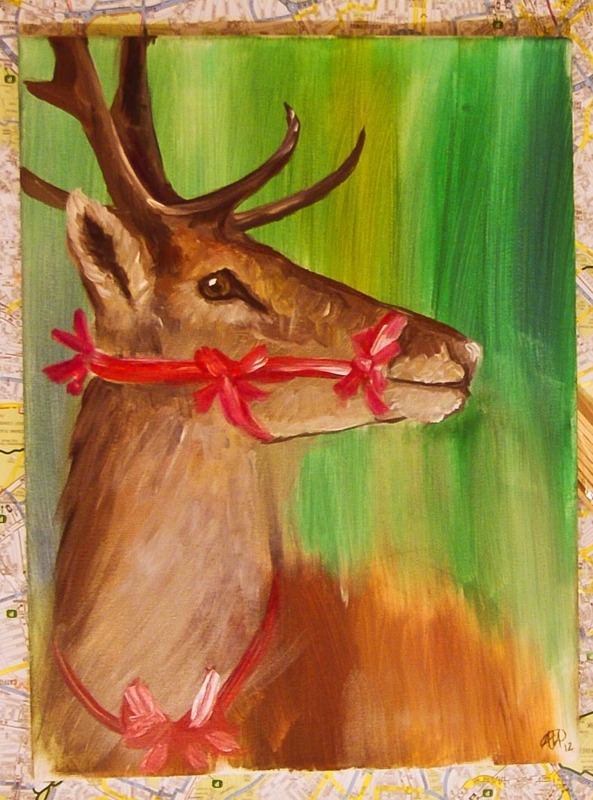 Deer are at the highest point of popularity during Christmas period and I wanted to reflect on that by showing a deer constrained in Xmas ribbons with a background in spring/summer colours.